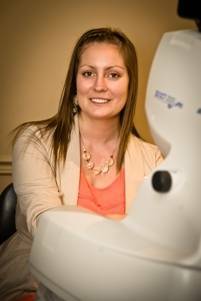 Ellen’s personal mission is to ensure that each patient that comes to the office is comfortable and feels welcomed. We know the technology can be overwhelming for some patients. We are here to help take the confusion away by explaining the different lens technology and what would work best for you and your prescription. Outside the world of eye examinations, glasses and contact lenses, Ellen enjoys spending time with her life partner Mike and young daughter Aleah.